Forty-Eight Years! It is a fact. 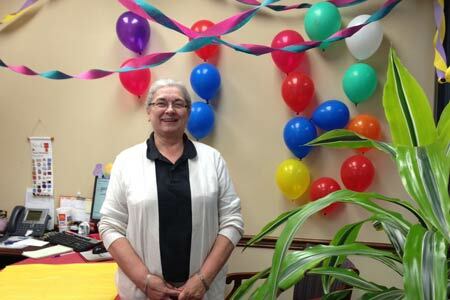 Patsy Smith of Wells Fargo on the square of Edgefield has been working in the banking system that is now Wells Fargo since her teens. 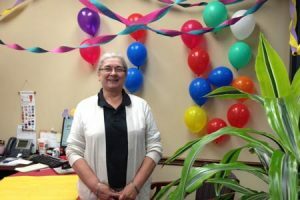 The Edgefield Branch, where she works, celebrated the milestone with balloons and crepe swags as décor and many greetings from the staff and customers.